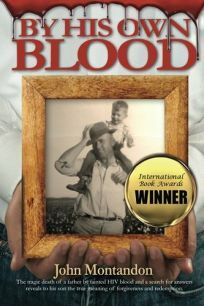 This sincere, gentle memoir documents the unfortunate story of the death of the author's beloved father, Doc Montandon, an elderly Texas farmer infected with HIV via a blood transfusion in 1985, when testing was rare, public policy unformulated, and public perception of the disease fearful and linked almost entirely to homosexuality. The bulk of Montandon's book is neither medical nor legal drama but rather simple family stories about growing up on a farm, told in straightforward prose that emphasizes Doc's virtues. Montandon's depiction of his family throughout his life and during his father's death is understated and told with dignity and grace. And in this—more than in addressing the issues of HIV/AIDS—the book succeeds as a heartwarming bit of rural Americana and a loving story of a mostly unremarkable life.